We offer a friendly and competitive service for all of our customers. 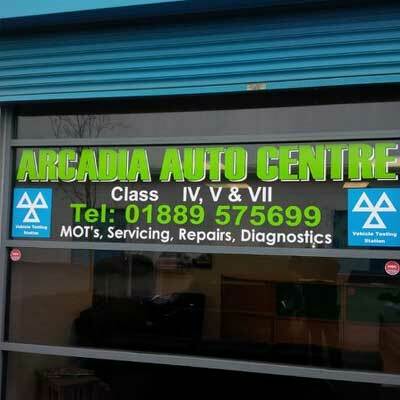 The new home for Rugeley, Mot testing for all cars and class 3,4,5,and 7 vehicles. We don't not charge for a retest even if you go away and get the work done else where. MOT FROM £35 AND A SPECIAL OAP OFFER OF £30. All repairs, servicing and diagnosis is all done here at competitive prices - phone for a quotation.